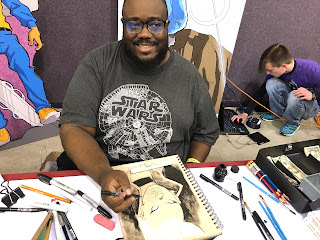 The Newest Rant: The Big River Comic Convention Was a Blast! An Awesome Time Was Had! 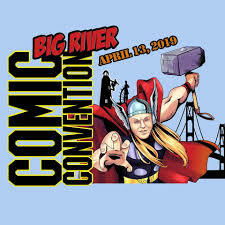 Yesterday the Big River Comic Convention was held for the first time and it was a spectacularly fun time. I arrived early in the morning with a friend who joined me shortly before the show started at 9AM. 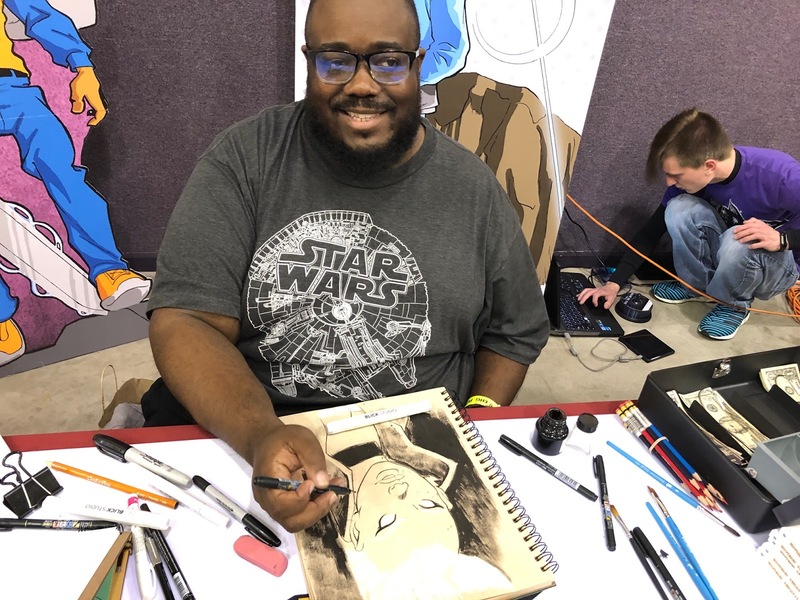 The location had been changed due to flooding concerns a couple weeks earlier to the Tabernacle of Praise Recreational Complex, but even with that shift in location everything was still very impressively organized--especially considering this was Hannibal's first comic-convention! 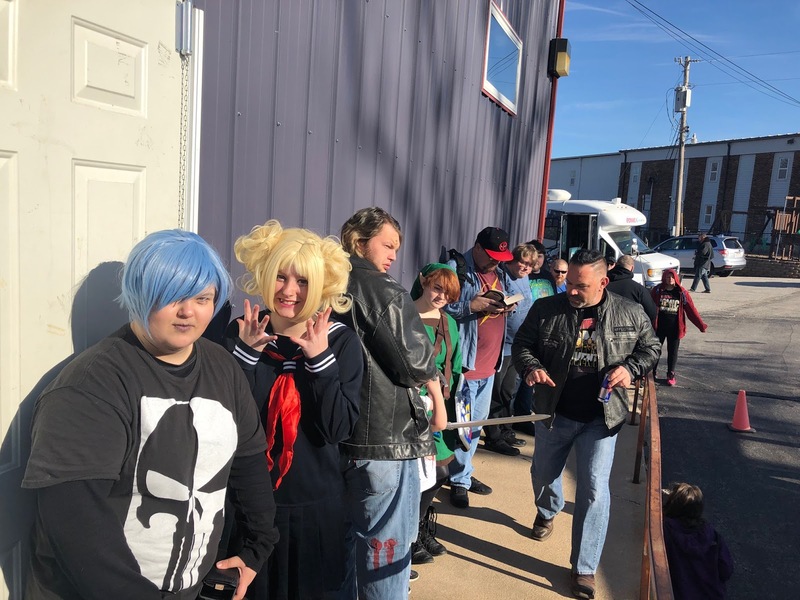 I left in the early afternoon (it ran until 5PM) but there was already a line before the show started (see the below picture) and as the day went on it got very busy, with tons of fans and families in attendance. There was a line to start and people kept coming! 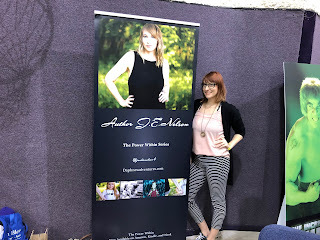 The Folk I Met and Stuff I Bought! 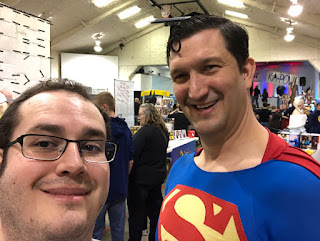 I met YouTuber and vendor Alex the Comic Hoarder. He has been doing Youtube videos for about three years discussing comic-books he told me, and was at the show selling some of his collection to make some more space. 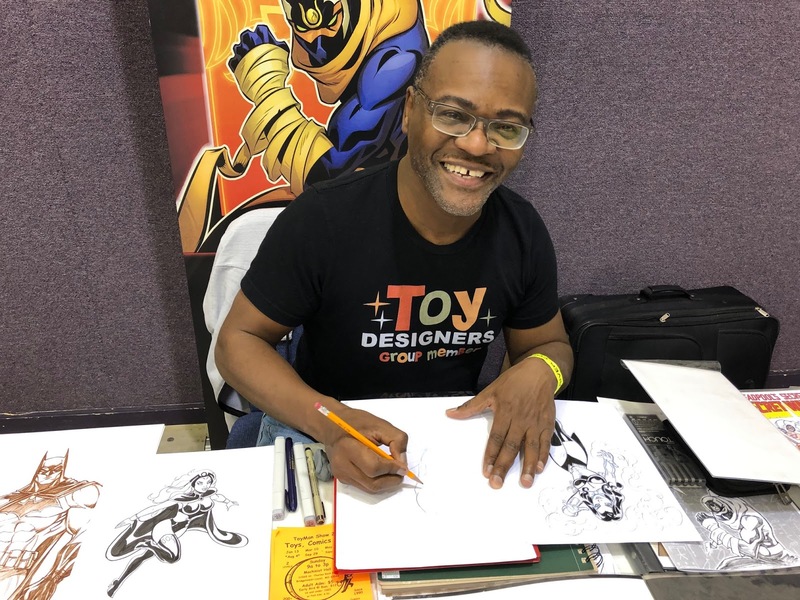 I was happy to assist him in his efforts through purchasing an assortment of great books including a handful of, "Avengers," comics, in addition to an older, "Ms. Marvel," a, "Batman," issue from Grant Morrison's run, and some other stellar books. I'd encourage you to visit his Youtube page and subscribe, I already have done so myself! 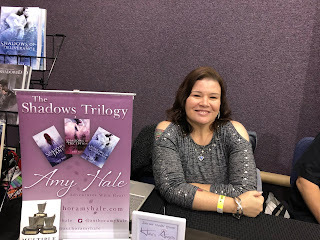 Author and my friend Amy Hale was at the BRCC and excited to discuss her books for sale as well as ones she was in the process of working on with attendees. She is always great to see and you can visit her site here. The good folk of BTC had a variety of cool stuff, from magical wands to wood-burned items, and their original comic, "Lame Brains." It was great chatting with them and I'd recommend visiting their Facebook page! I always enjoy seeing former pro-wrestler and current actor Bishop Stevens at shows. 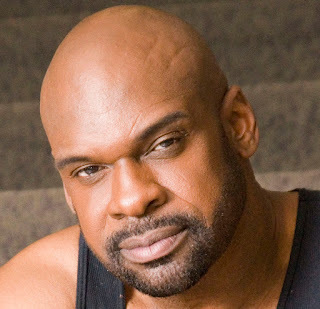 He is very friendly and loves talking about the art of acting. You can say hi to him on Facebook here! BB Cosplay was at the show and led the cosplay contests. She was dressed as a really neat Elsa from, "Frozen," at the show. 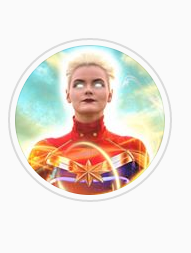 She is on Instagram here. 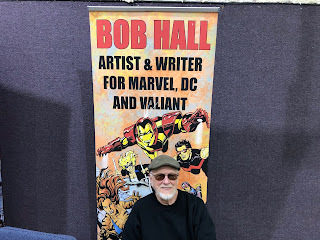 Famous writer and artist of comics Bob Hall was present with a wide range of his work. He was extremely friendly and had an assortment of cool stories. It was really cool to meet him and chat about our shared birthplace of Lincoln, Nebraska (its a cool place)! His website is here. I always love seeing The Comic Grind at conventions and shows! A bus that has been changed into a mobile comic store that also serves coffee and treats, it is both ingenious and just plain fun to be in (or buy from). I encourage you to visit its website so you can stay updated on all its future, "Stops." 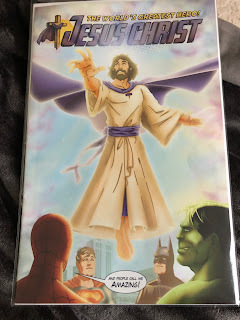 The non-profit Costumers for Christ had a free comic about Jesus as world's original and greatest hero and were very pleasant to speak with. 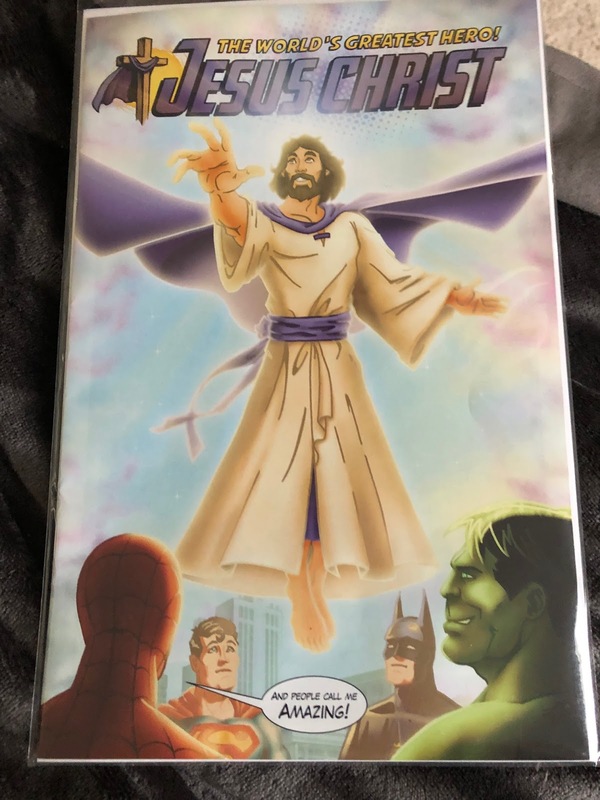 Their website is here (here is the Facebook) and has some unique interpretations about a variety of comic-book subjects that are interesting to think about from a religious standpoint (e.g. how nobody stays dead in comics/all the resurrections). 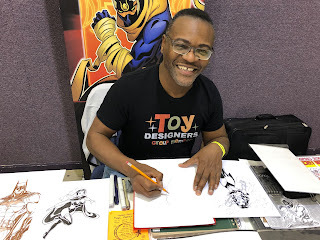 My good friend and comic creator David Gorden was at the show with his fantastic comic, "Kwame Hightower and the Man With No Name." He was a pleasure to see as always! He's on Facebook here. 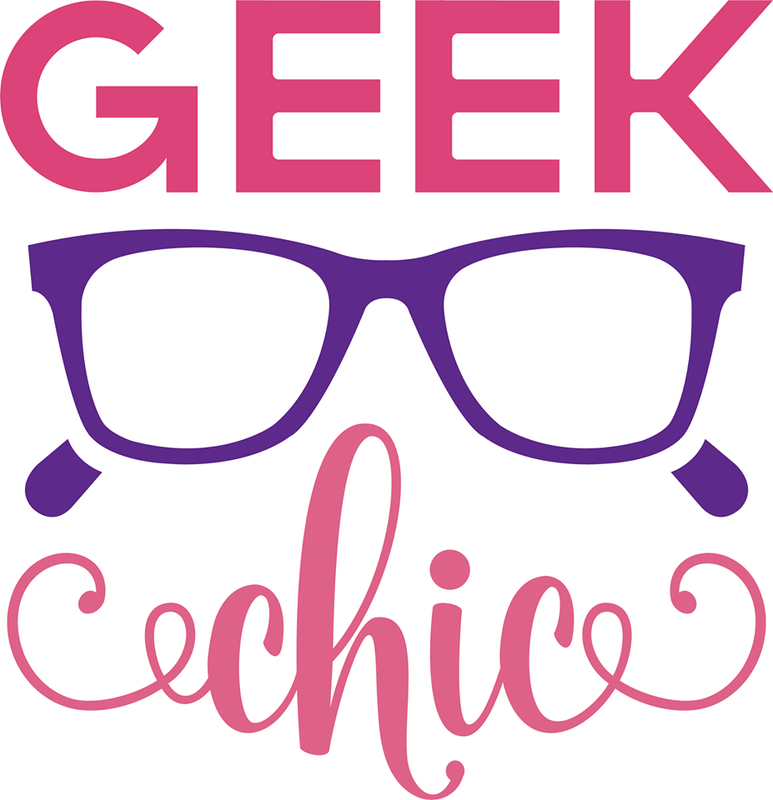 David and Dawn of Geek Chic had a ton of comics, toys, and other awesome stuff for fellow geeks. I was able to purchase some great old Moon Knight comics from them, so that made me very happy. Their Facebook page can be found here. 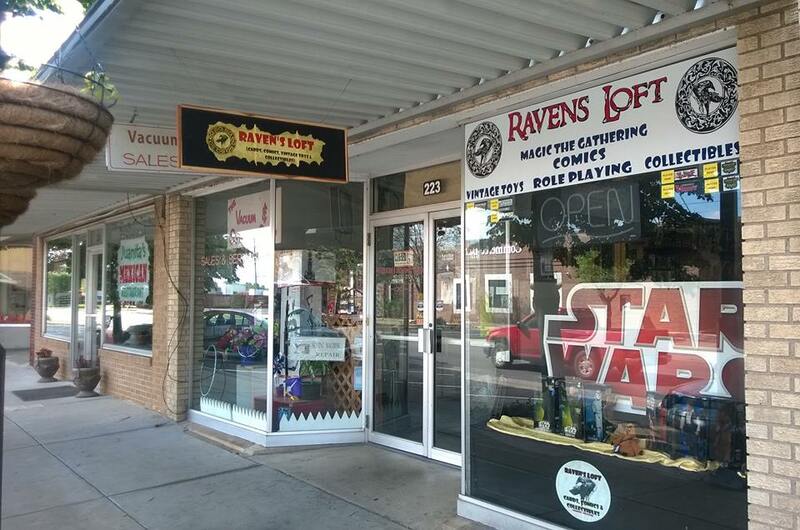 The Graflex Shop had super-cool replica lightsabers that were really impressive to look at. Their website can be found here. Heroes for Kids is a non-profit dedicated to, "Bringing together Law Enforcement, Firefighters, EMS, Military, and costumed heroes to bring smiles to people while bolstering community relations and raising money for different charitable organizations." 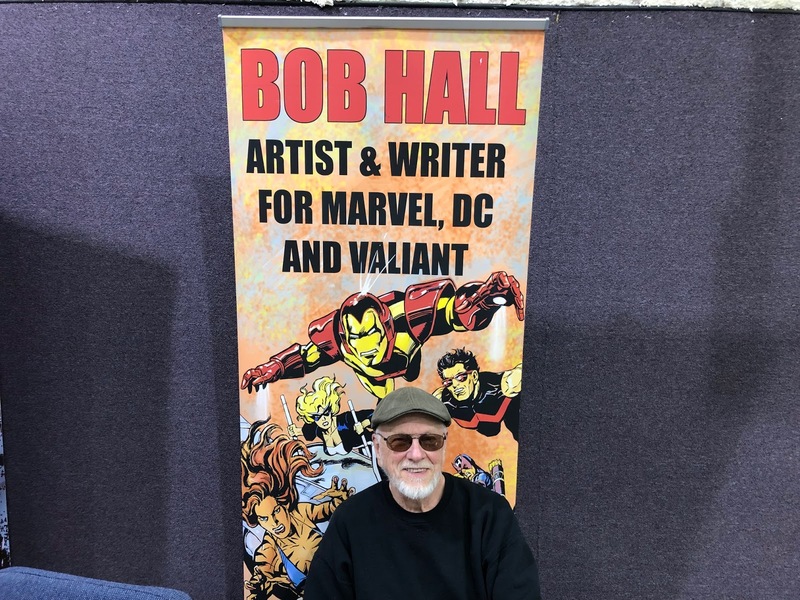 They were at the show with a variety of cool comic and movie items (many signed by notable celebrities) and were raising funds at this particular show for Backstoppers. They also let me take a picture with their booth's Superman, which I appreciated! 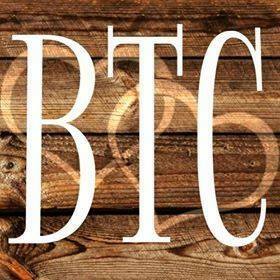 Check out their Facebook here. 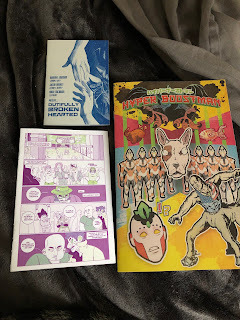 Jacob Bouvet is an indie comic-maker who had some cool comics, mini-comics, and zines. I was eager to buy some of them and they are really good! Visit his website here and get some for yourself too! I met Ms. Nelson previously at a Toyman show and was happy to see her here at BRCC too! She is an author whose book, "Daphne's Adventures," follows the adventures of a young girl with ASD as she survives a zombie apocalypse. You can visit J.E. Nelson's site here! 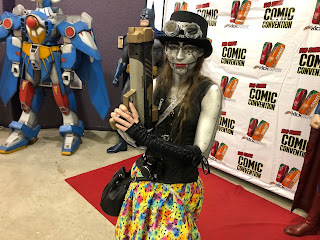 Cosplayer Legendary Rose was at the show and very friendly and excited to chat about the art of cosplaying. I greatly enjoyed meeting her. 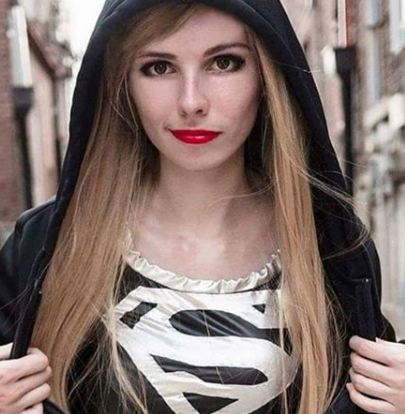 You can find her on Instagram via this link. Lorenzo Lizana is another awesome comic creator I am honored to call my friend. He was hard at work drawing and chatting with attendees. He's on Facebook here. MSP sells reprints of 20th and 19th century books covering a wide-range of subjects. 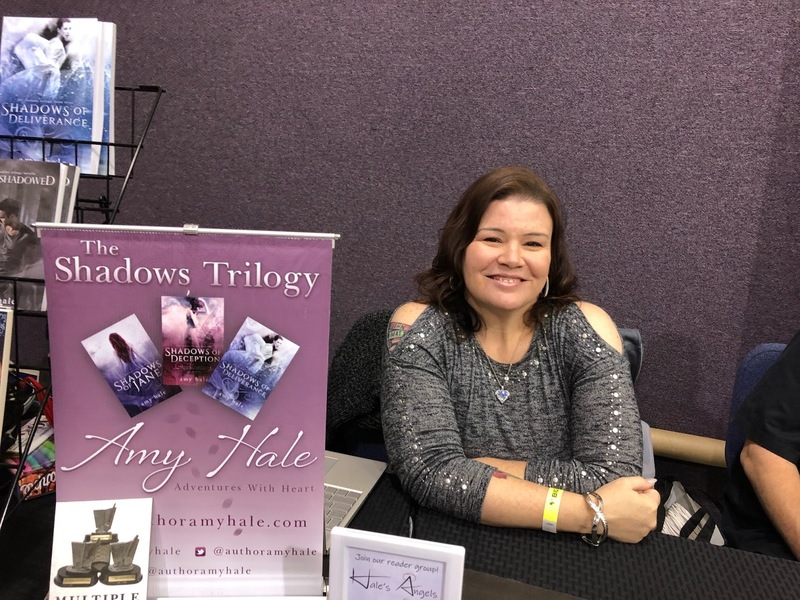 Their books were really high-quality and a great way to see old texts in format that you can read without worrying about old pages crumbling into pieces! Their site is here. 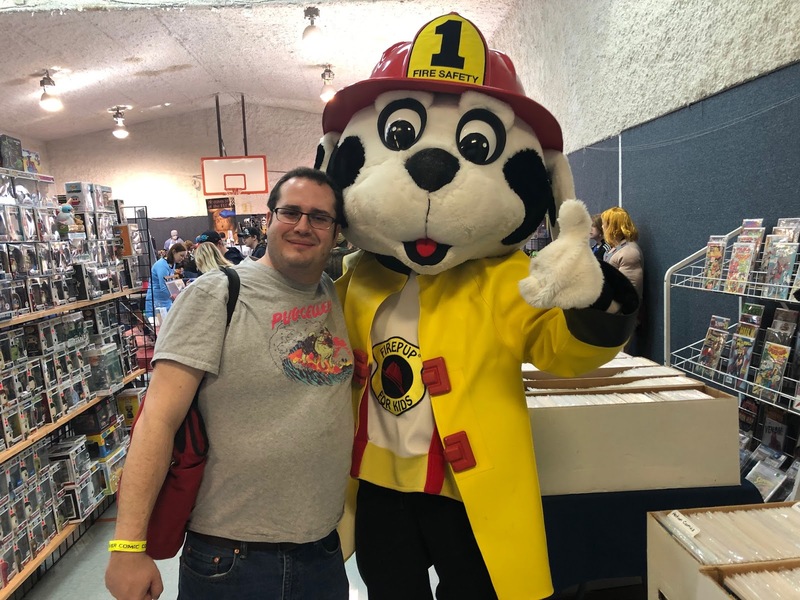 Members of the local National Fire Safety Council were at the show handing out fire-safety information (check those smoke detectors, people), and letting folk take pictures with Firepup. As you can see I was eager to get a snapshot taken! 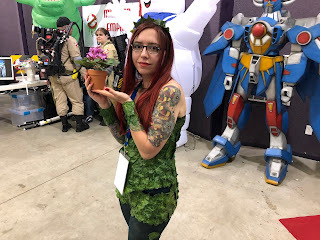 This cosplayer's take on Poison Ivy was neat, I loved the little plant as an extra element! A store located in Lebanon, Missouri, Raven's Loft had a booth full of comics (new as well as old) plus other goodies such as Funko Pops. Their Facebook page is found here. 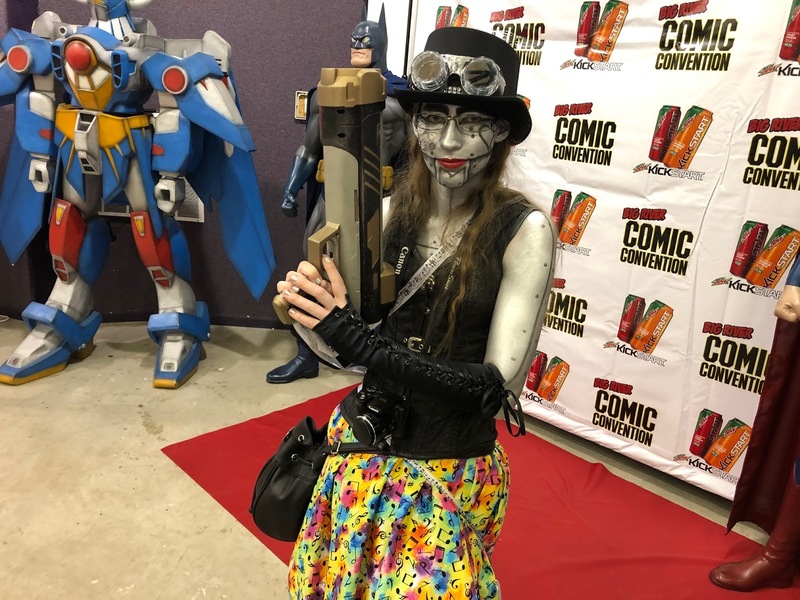 This cosplayer dressed as a wild steampunk robot had a really cool outfit. 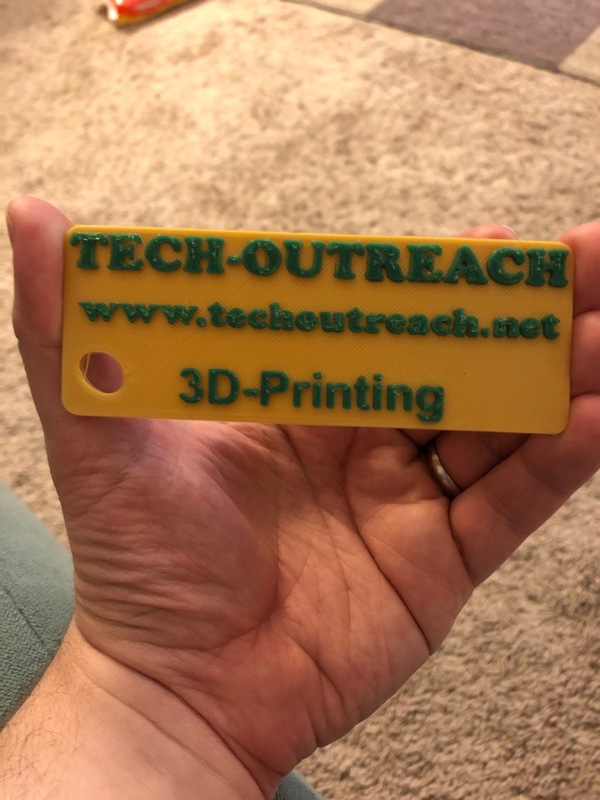 The good folk from Tech-Outreach had some stupendous stuff that they 3-D printed--even their business card was made on a 3-D printer! 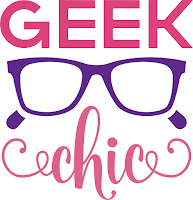 Check-out their site here. A great future for the show ahead! 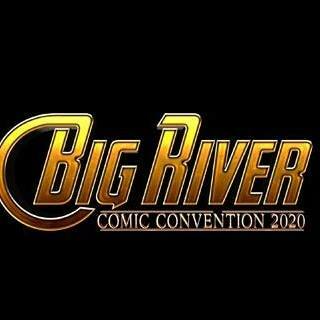 The first-ever Big River Comic-Con was a smashing success in my opinion. 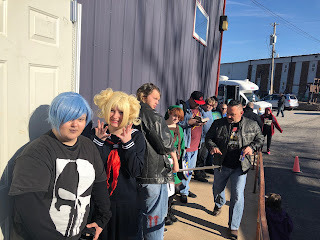 Others seemed to agree with me too,there was stellar attendance with rave reviews, and I both overheard in-person and read online people saying how this was a much needed event for Hannibal that allowed everyone to have a stellar time. Now I can only excitedly wait for the show next year! It was a really great event, and we hope you come back next year!